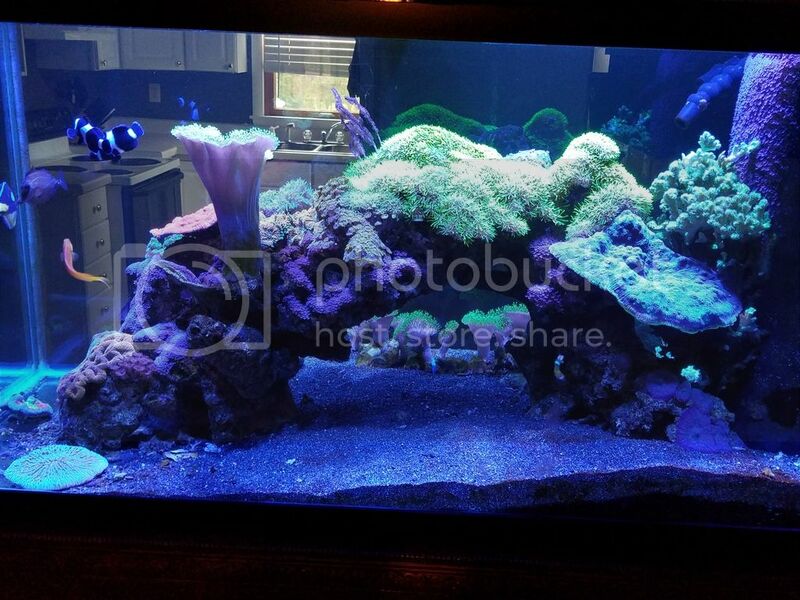 Hi everyone, I'm taking down my aquarium due to upcoming travel requirements that won't allow me to give my tank the attention it requires. This tank has been set up for 5 years. 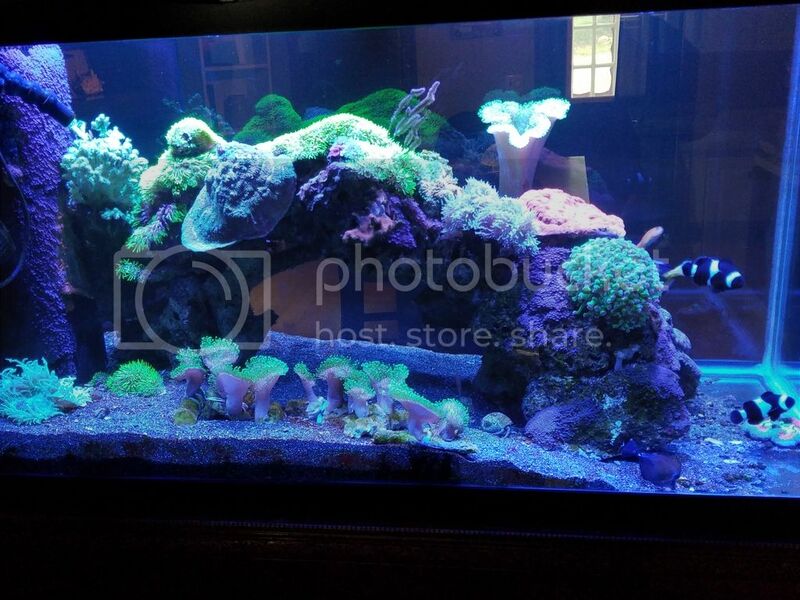 The custom peninsula tank, ecotech radions, skimmer, and breeding pair of clowns will be sold once the rock and corals are out. I live in Cambridge. Entertaining package deals, and would sell everything together. If you are interested let's talk. $250 - Custom Liverock Arch - 3 piece system custom made for 150 gallon. 2 columns that support the top. Will come apart to get past the center brace. 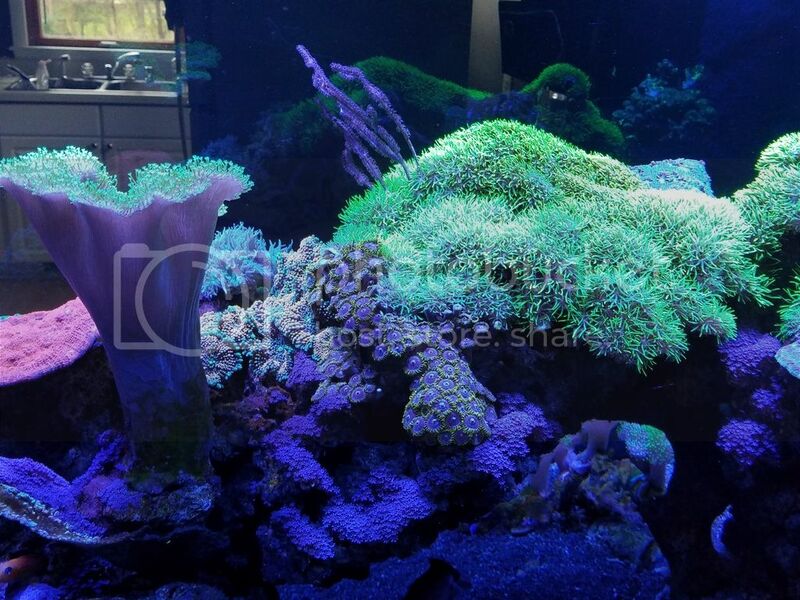 This will include all attached corals pictured that you don't see separately listed including: GIANT alien eye chalice, hydnophora, acan, purple death palys, zoas, gsp, ricordias, frogspawn, toadstool, star polyps, duncans, ect, ect. 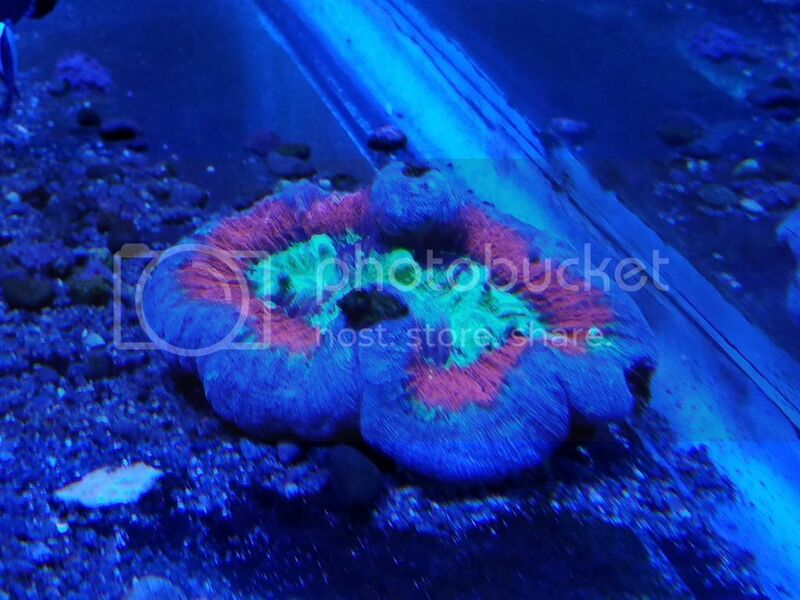 $50 - Large red chalice approx. 6"
$75 - Large aussie elegence approx. 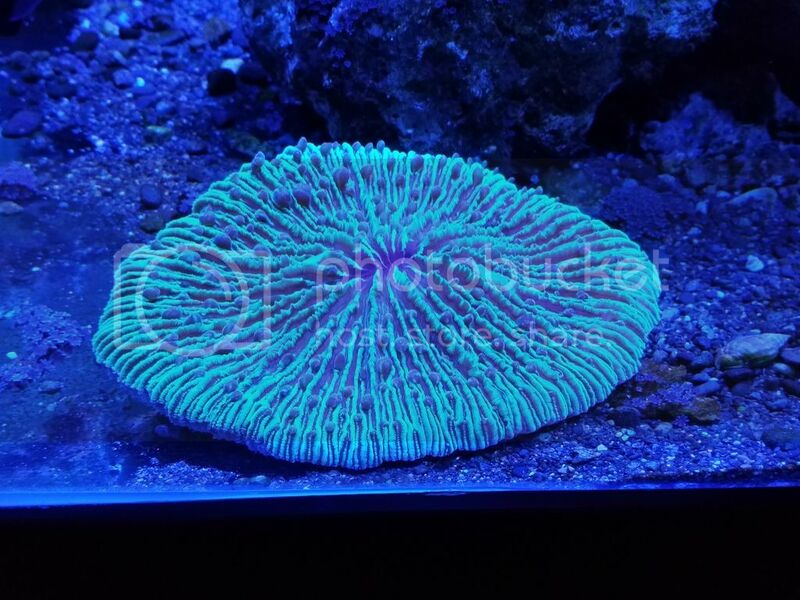 5"
$60 - For All 10 frags of ORA neon green toadstool. They are 2-4" each. 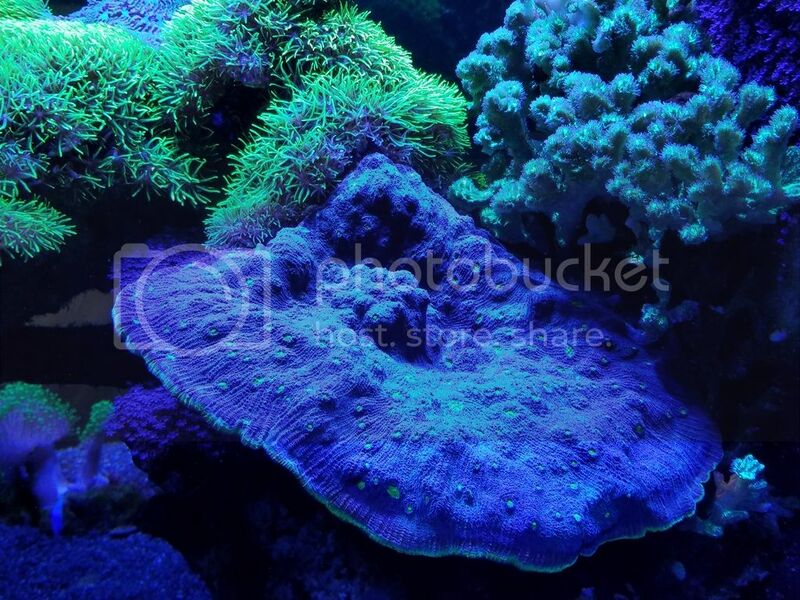 $20 - Fungia approx. 5"
Last edited by Jake on Sun Oct 28, 2018 11:23 am, edited 2 times in total. 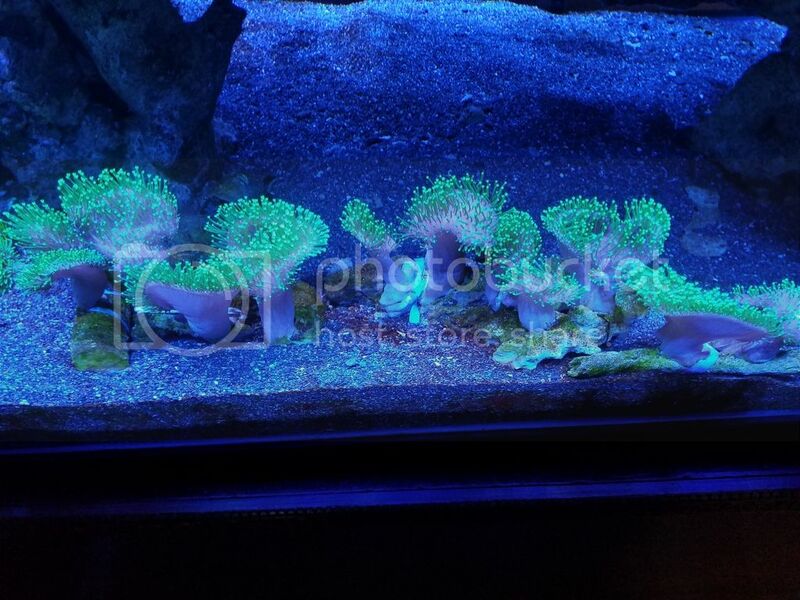 Interested in some of the coral that were not individually priced. 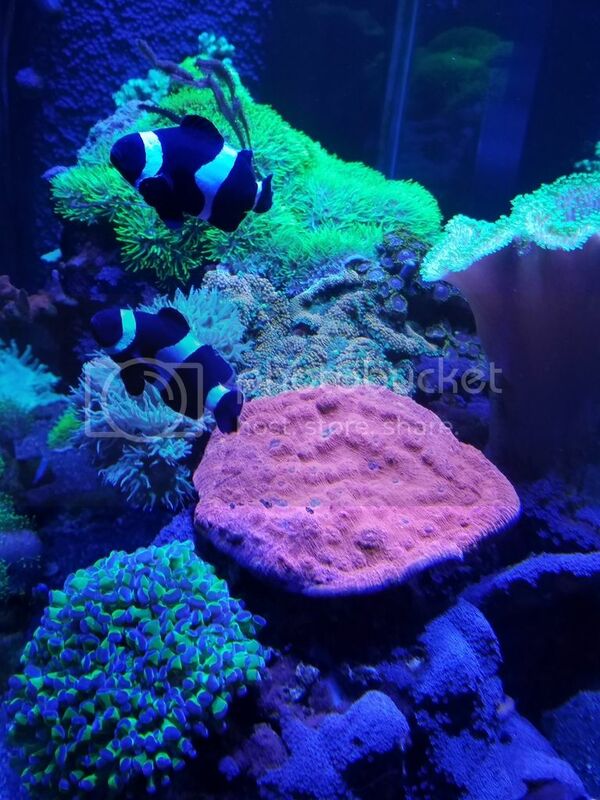 And potentially live stock, clown fish. 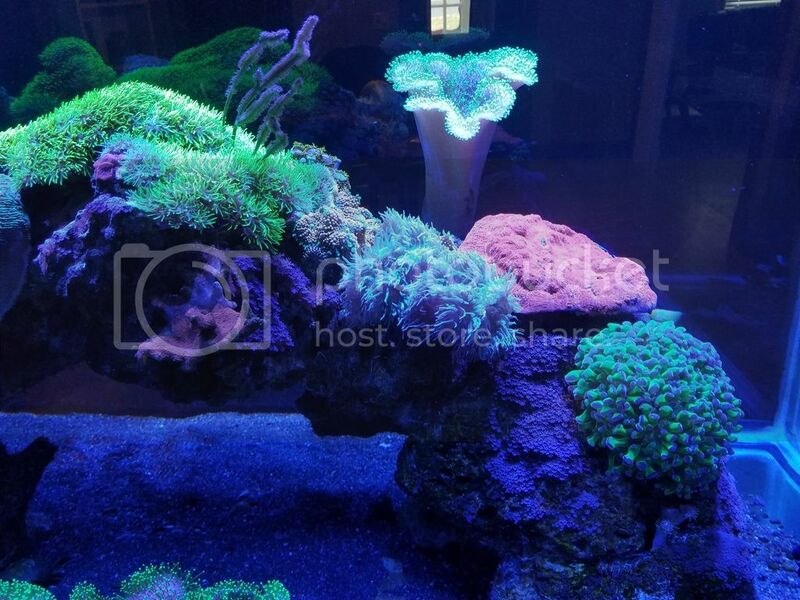 Did you do any quarantine for the items in the tank? I’m interested in the arch rock as well as the $60 for all 10 pieces mentioned. My number is 608-807-6355.
abdelhamid2 wrote: I’m interested in the arch rock as well as the $60 for all 10 pieces mentioned. My number is 608-807-6355. Hello, I've sent you a text. Let's chat about what you have in mind. 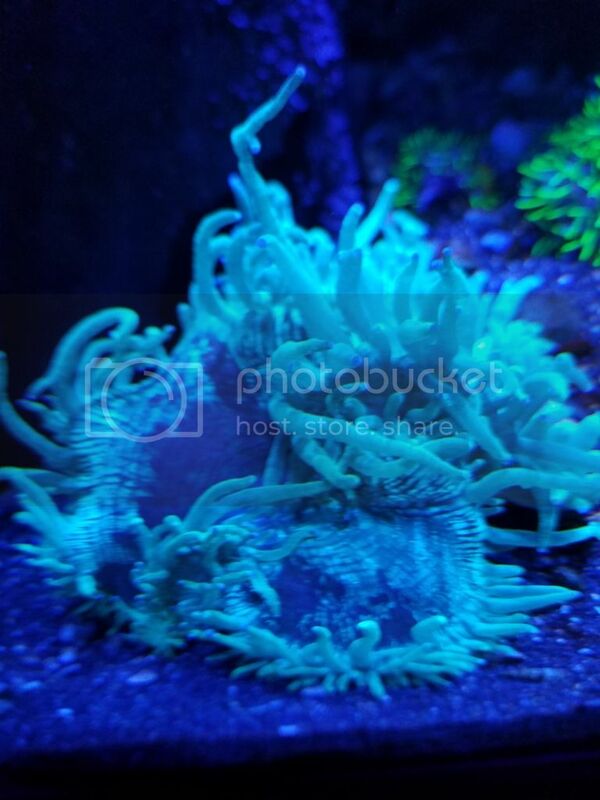 Reeseman222 wrote: Interested in some of the coral that were not individually priced. 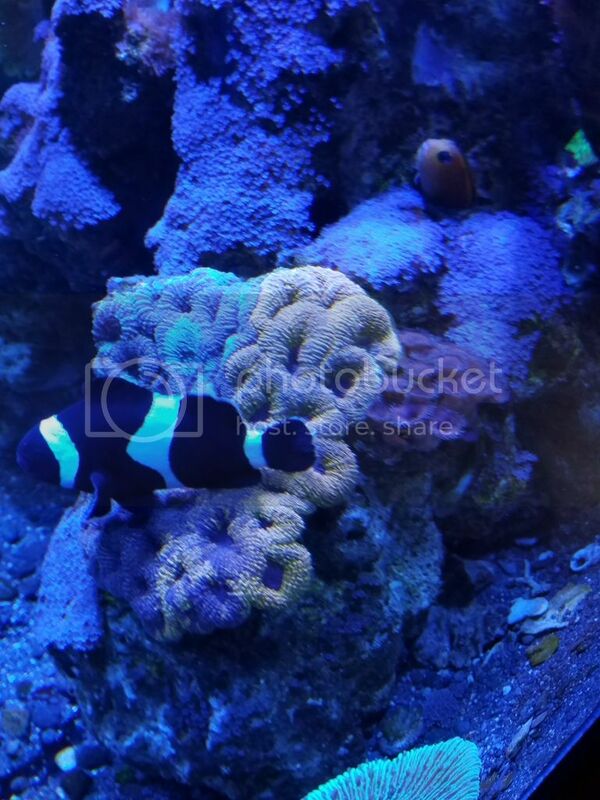 And potentially live stock, clown fish. The items that are not individually priced are part of the arch that is for sale. 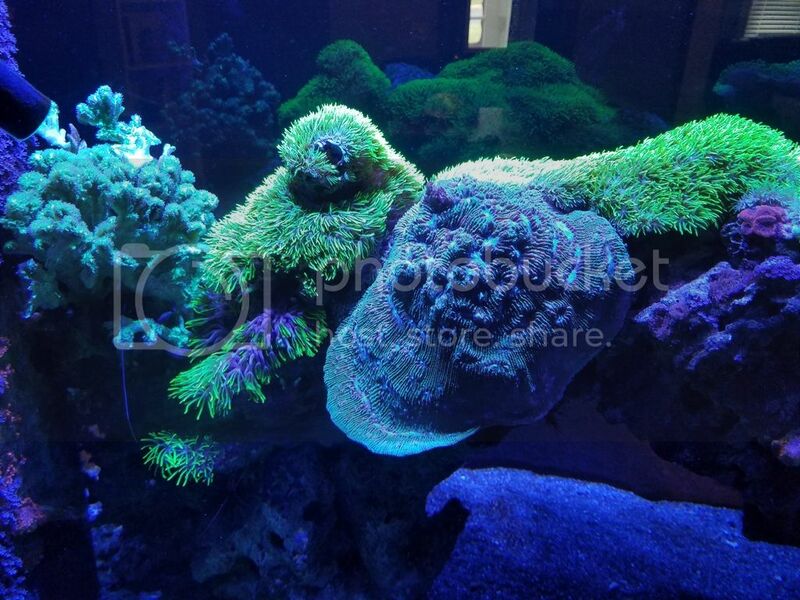 The livestock will not be listed until I sell the rock and corals and am able to catch them. The aquarium has had no new additions for 2 years. Clowns will be easy to catch. Someone make me an offer on them. Must go together. All livestock is sold. I'll be opening up another listing for the equipment soon.